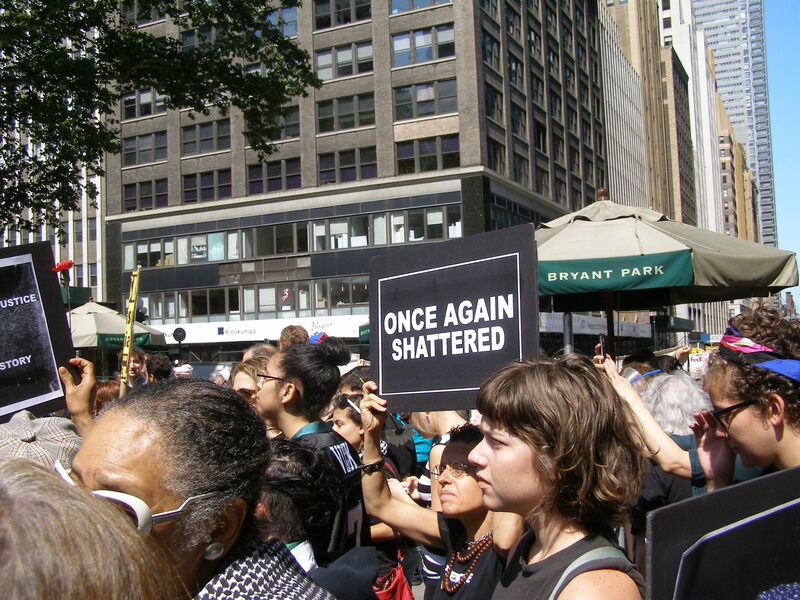 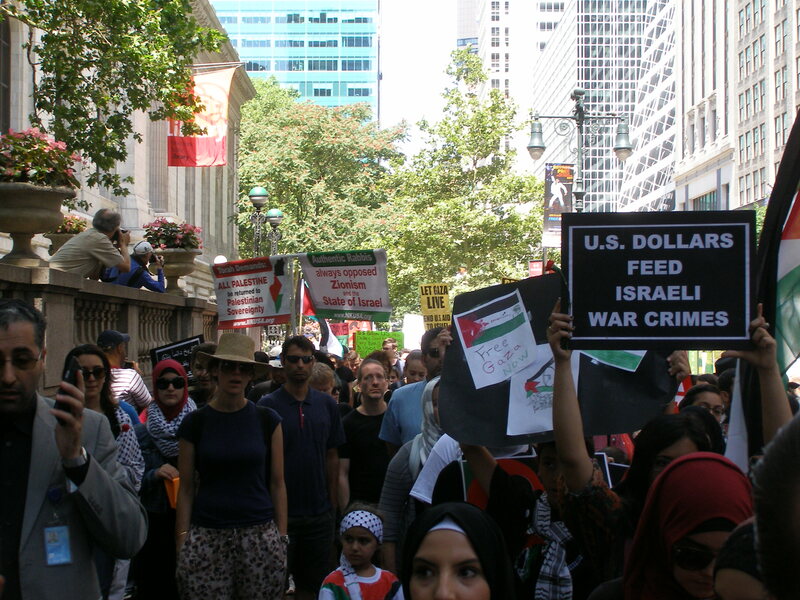 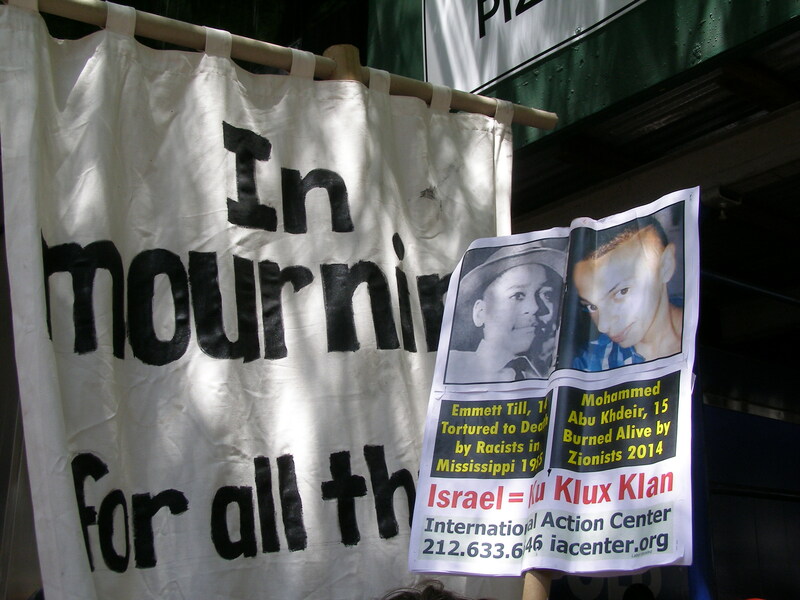 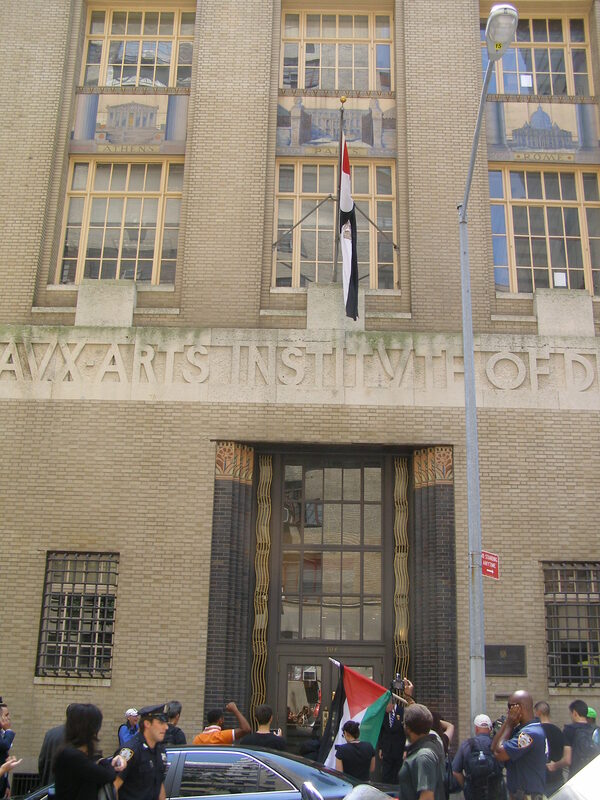 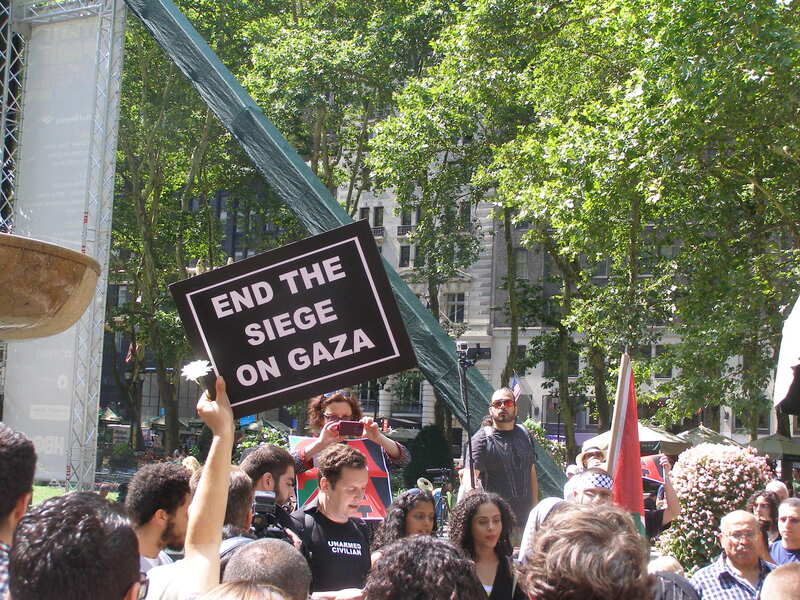 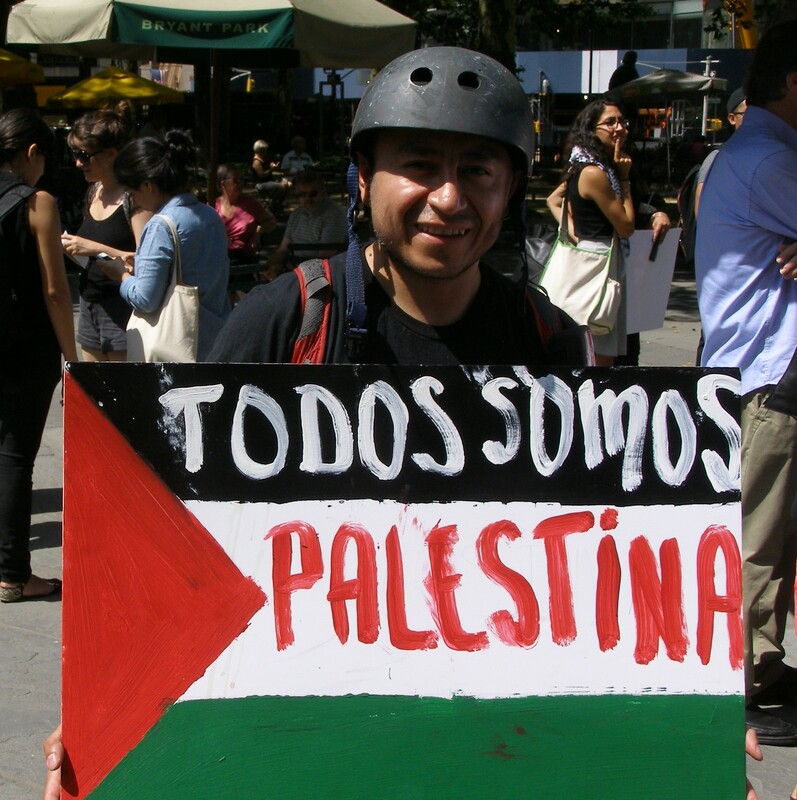 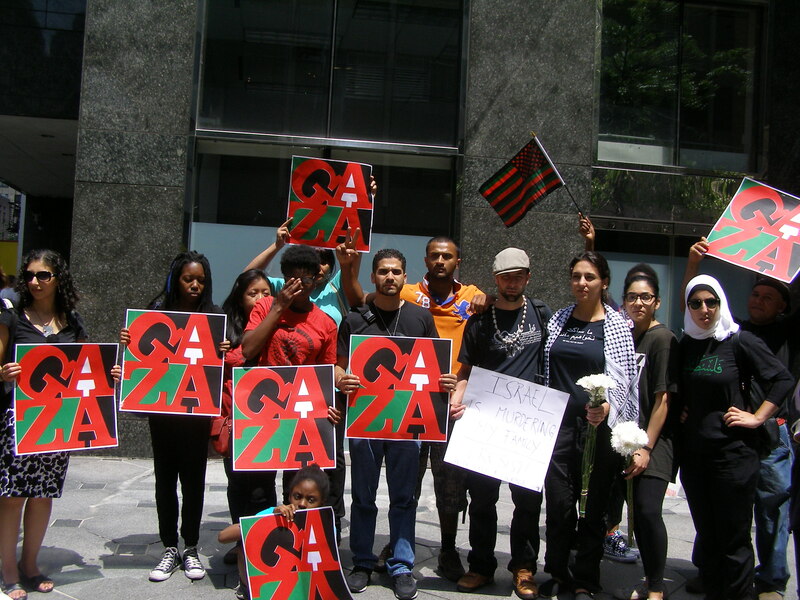 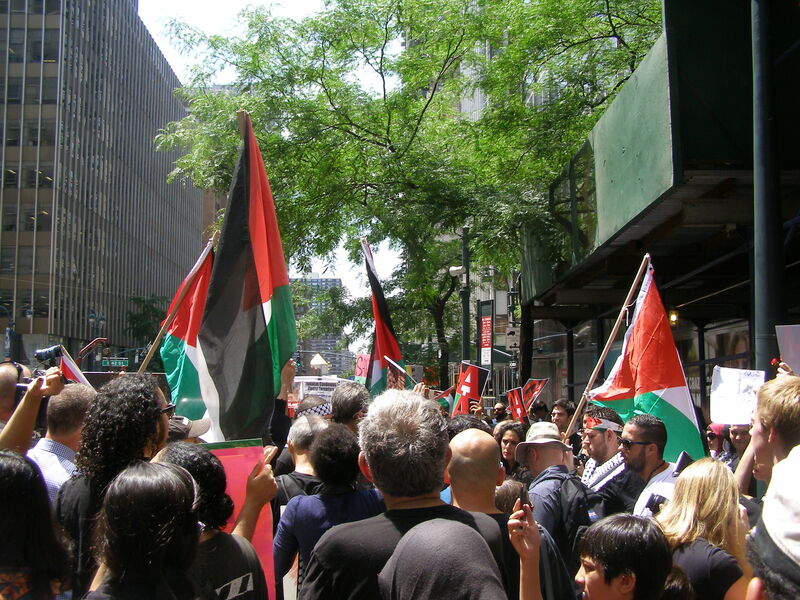 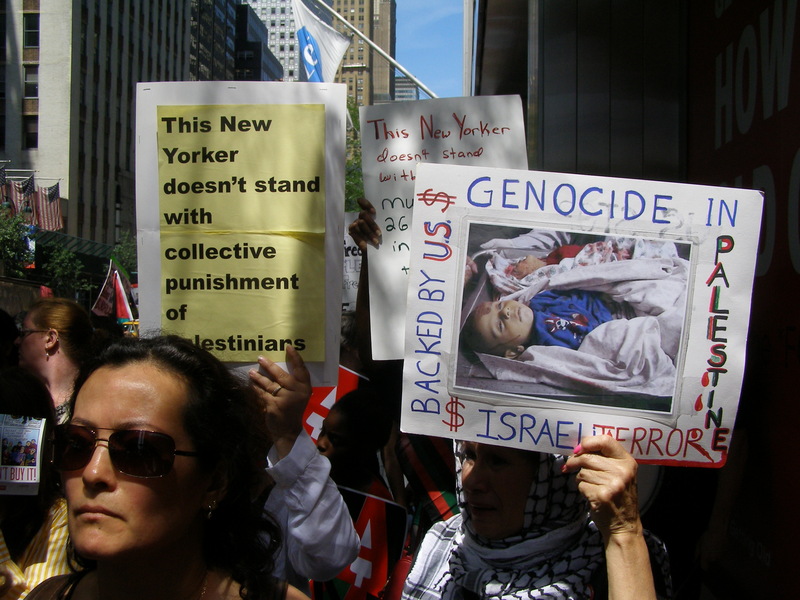 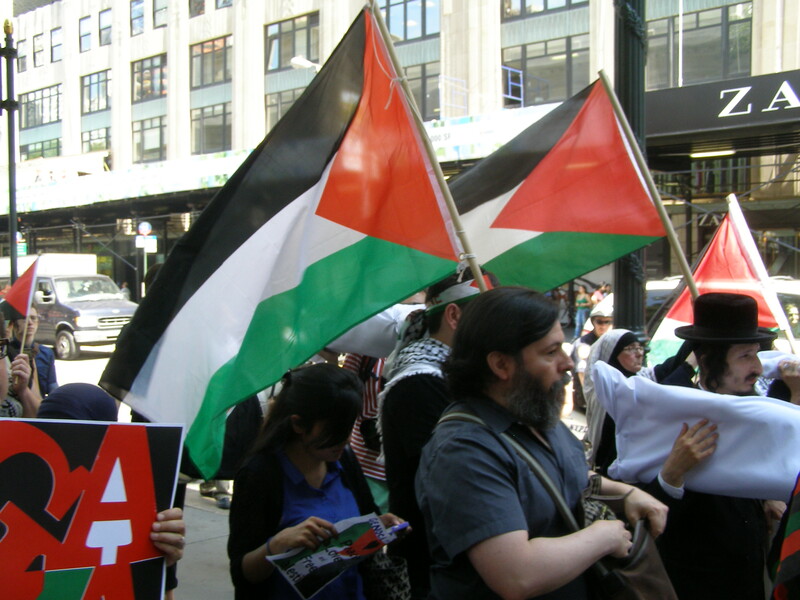 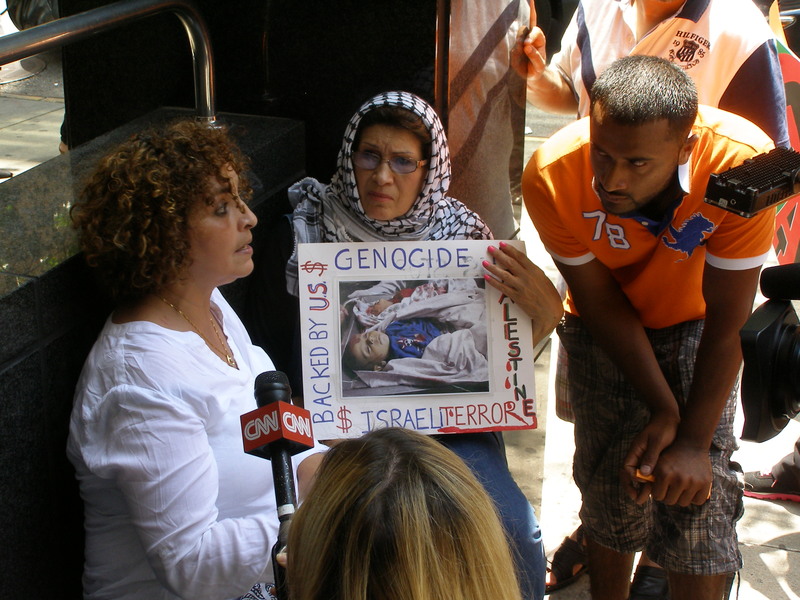 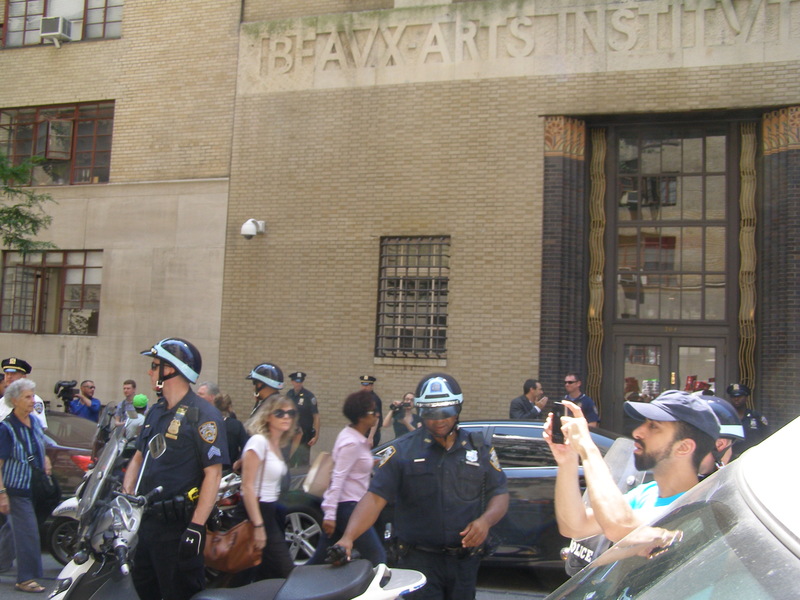 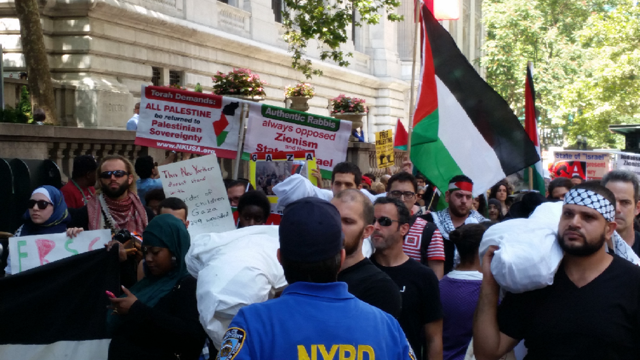 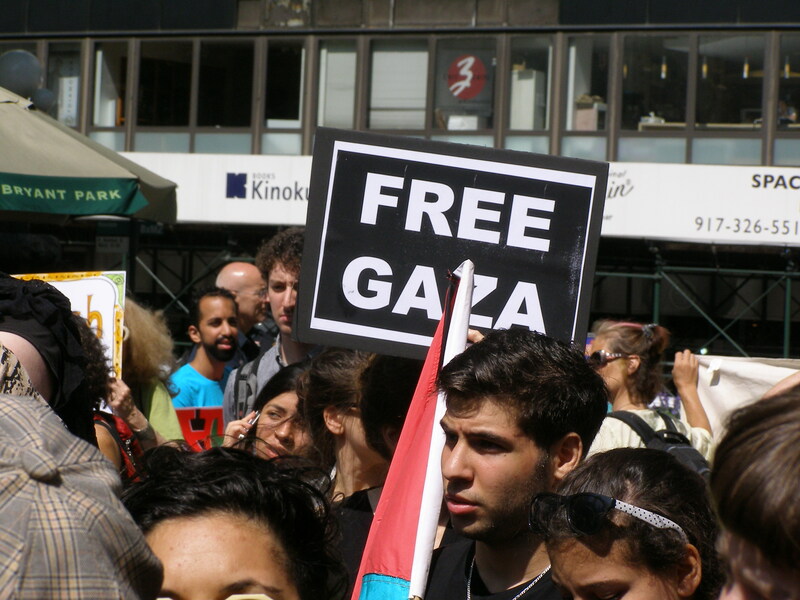 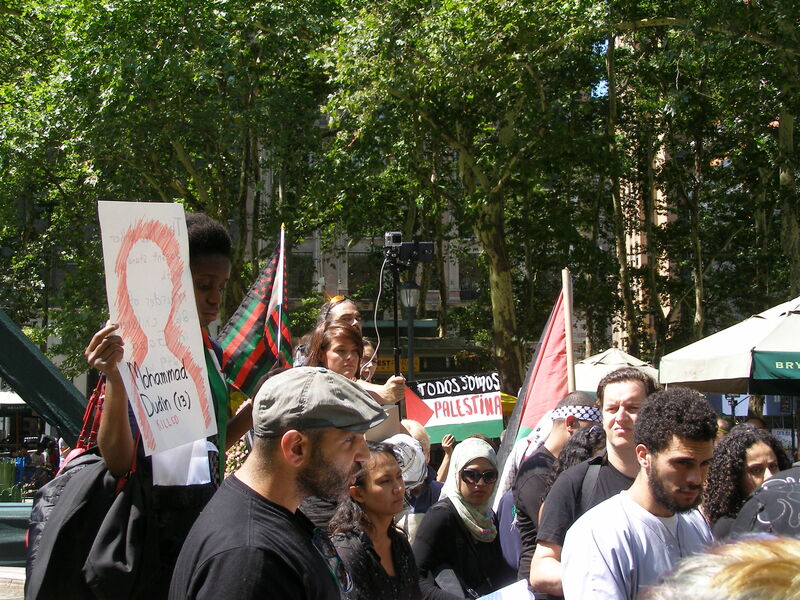 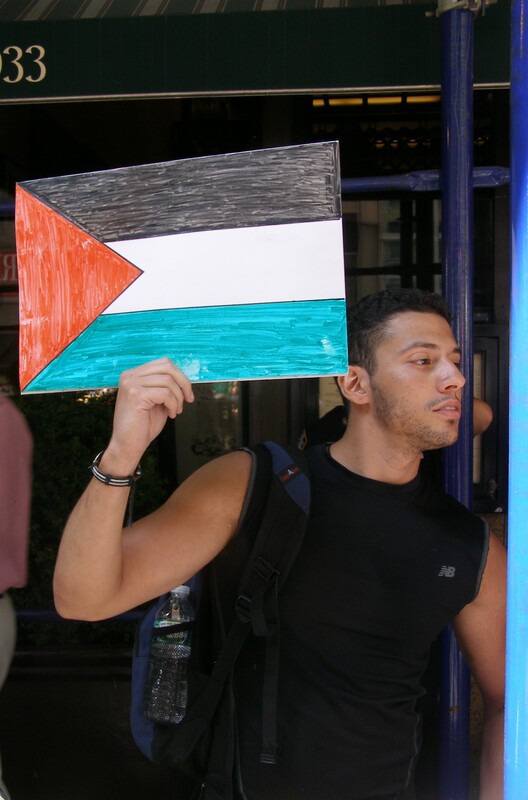 Today, hundreds of individuals mobilized in New York City to express their repudiation of the present Israeli assault on the Gaza Strip. 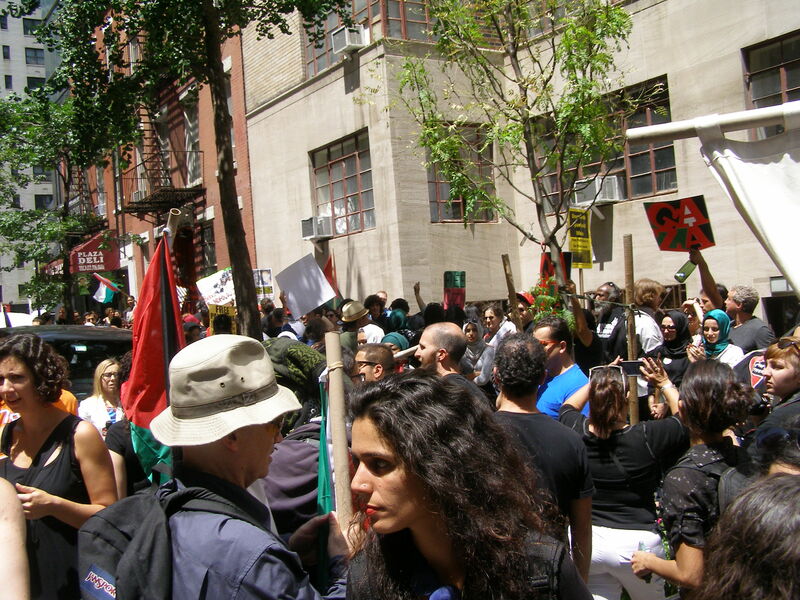 Organizing around a “Friday Funeral March” to commemorate the more than two hundred and fifty people in Gaza who have been murdered by the Israeli military in the past 10 days, this vastly diverse multitude occupied 42nd St. and protested with rage and dignity in front of the Israeli and Egyptian consulates. 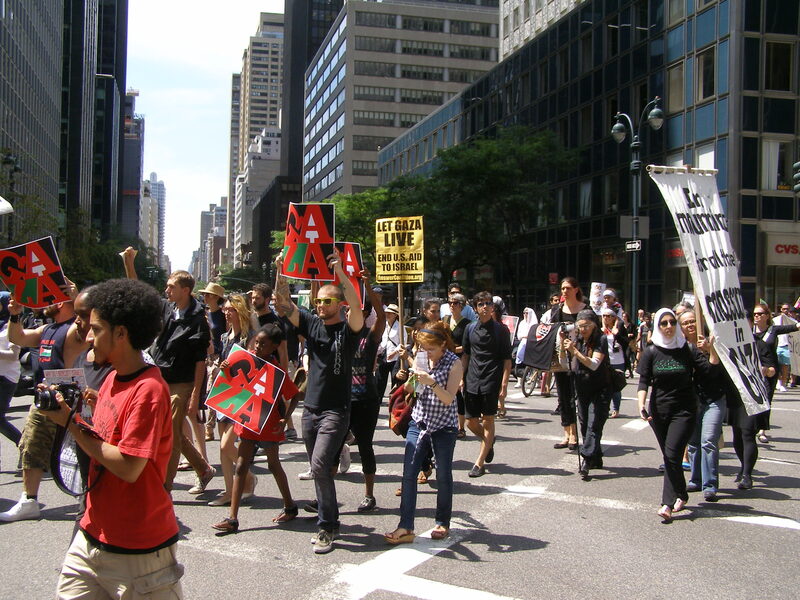 Here are some photos of today’s action.